I made it thru winter! In April, when a few hundred Lakota Sioux began their protest of the Dakota Access Pipeline, my ears perked up and I began paying attention. While not able to go to Standing Rock, I stood with my brothers and sisters there and sent my prayers and love to them. 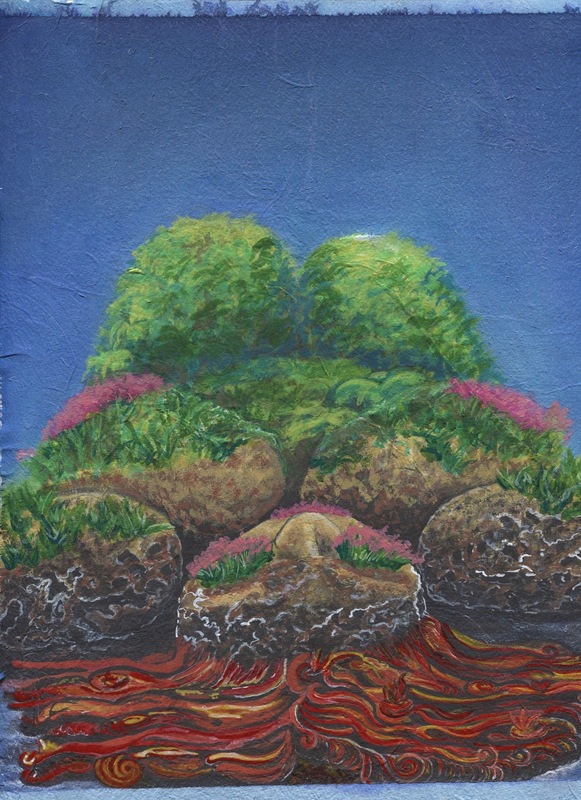 Months later, when things had settled at home, but begun to become more dangerous at Standing Rock I picked up my paint brush and began to work. 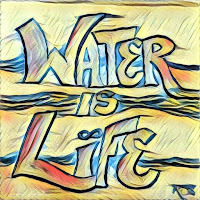 The result has been a series called Water Is Life. 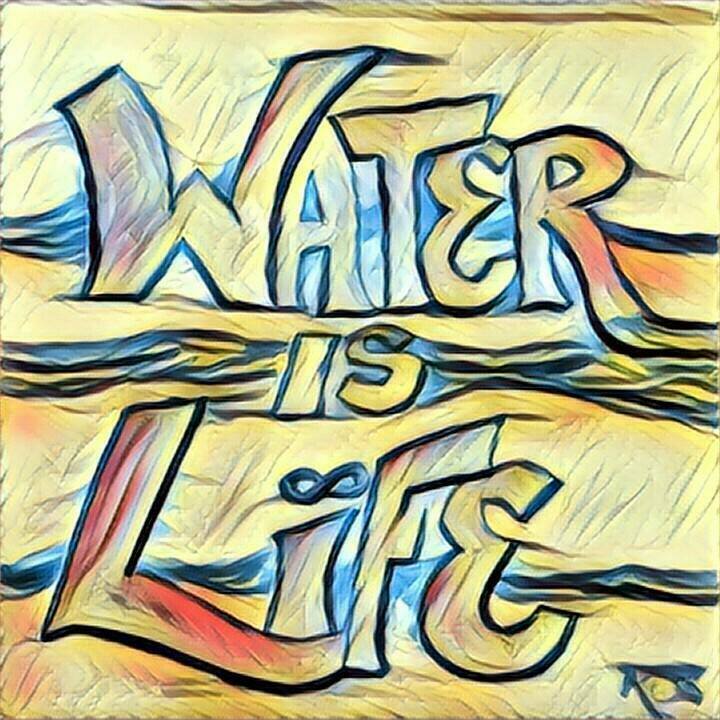 It has two pieces currently and will expand to 7 pieces that will address issues facing Water Protectors all over the world, including the Black Snake of oil pipelines, lead poisoning that occurs on Native American reservations (as well as in Flint MI), the effects of global warming on the Arctic Sea Ice, and the frailty of diverse life in our acidifying oceans. 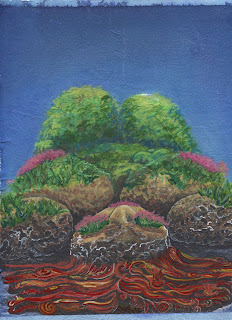 I've always been an activist, always stood with my people (the Native Americans as well as the Jewish ones), and since my medium is watercolor, and defense of the sacred is one of my life-themes, creating a series of work aimed at protecting our most essential global resource was a natural place for my work to go. 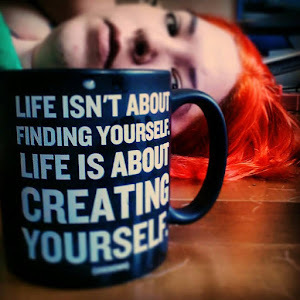 While I was beginning this journey, I had to conclude another: coming to terms with my disability. Yes, it took me 6 months to create two paintings. That's because having a chronic illness is a full-time-and-then-some job. I invested a lot of time and effort into devising systems to help me be more productive with my limited abilities, and using a heavily modified version of the Bullet Journal system I've begun to find my way in what is my new normal. I also applied for Social Security benefits that I may or may not ever receive. The process of creating my new disabled normal had also allowed me to see new avenues of creativity for the FibroShark Hungry book (which I promise is still in progress, but there have been some set backs -- not the least of which is the ironic one where the reason this is needed is also the reason it's taking so godsdamn long to complete). New material is being forged, painted, and written, and with some luck, a little more health, and some effective time-management I will be able to deliver copies of the book into your hands by the end of 2017. Unfortunately, during this time my family also experienced great loss. My service dog/office assistant/best friend/fur baby died in late October and I am only now coming to grips with how deeply this affected me. Life without Stewart has been more difficult that I can explain in this space, so I'm really only hoping that I can express enough to win a bit more of your patience. It's taken me the better part of a month to write all of this, (partly because I'm embarrassed that I haven't updated in so long), so I'll wrap it up while I'm on a roll. I love you all and appreciate your support, kindness, and everything that you do to make the world a better place. In the coming months, you can expect more updates from me (I have systems now! Huzzah! ), because I'm not going anywhere.